I grew up on a quite country road near Erin, ON, always fascinated by nature and spending most of my time near the pond or forest studying animals and enjoying sports such as mountain biking, skiing, rock climbing and horseback riding. My summer days before full time work were spent at my family’s remote boat access cottage on Lake Restoule where I grew my passion for fishing, canoeing and the peace and beauty of the Canadian shield wilderness. My late teens/early twenties were focused on music and I put a lot of my time into the “band” life playing guitar, bass, keyboard and majoring in saxophone at the Mohawk College jazz/classical music program. After working several years 9-5 at a Ford dealership, an eye-opening experience made me realize that the conventional 9-5 job was not going to cut it for the rest of my life and I began solo travelling and rediscovering my love for nature and adventure. I spent 2 months in New Zealand completing many of their “Great Walks” and many kayaking trips. After that first trip, I came home and purchased my first kayak and began travelling the backcountry of Ontario near the French River/Georgian Bay area. I spent 2 months in Belize to experience the second largest barrier reef, snorkelling almost every day, and enjoyed a road trip to Vancouver Island where I further grew my passion for fishing and discovered fly fishing. After many fantastic experiences and having many people in my travels tell me that I should be an outdoor guide, I discovered the Outdoor Adventure Program at Algonquin College and I could not be more excited to start my career in the outdoor industry. 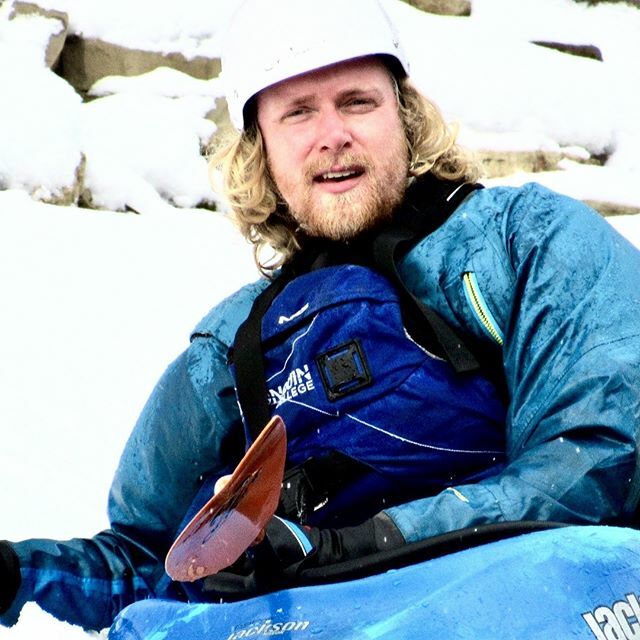 The program has allowed me to become a Paddle Canada flatwater canoe instructor, a CKC level 2 White water kayak Instructor/ leader and develop many other skills in business and outdoor leadership. I specialized in white water during my time in the program completing numerous multi day white water kayaking, rafting and canoe trips around eastern Ontario and Quebec, a 9-day sea kayaking expedition on Georgian Bay, as well as my final self-planned, self-guided 6-day raft/kayak expedition to the class 3-4 Main Salmon, “River of No Return”, Idaho. My happiest days are spent on a river, paddle or fishing rod in hand and the sound of rushing water. My immediate goal is to discover the many rivers of Canada’s wilderness while building my career and I could not be more pleased to experience Canada’s north with Canoe North Adventures this summer.